Light weight composite internal lockers which are fully recyclable after the life of the vehicle. In addition the lockers are designed to absorb energy unlike conventional aluminium extruded lockers. Recessed latches within the lockers to prevent injury to staff and create an easier environment to clean. Re-inforcing applications designed to absorb energy which are unique to VCS and involved significant investment for scientific analysis. Seamless inner linings and bulkhead meaning free from joints and extrusions, contributing to side wall strengths and ease of cleaning. Fully integrated floor which interacts with side wall linings giving a seamless floor free from joints. This new system adopted by VCS also adds strength and reduces the weight as opposed to conventional vinyl floor covering systems. Air Conditioning system integrated into the roof lining as such allows for directional air over each seated area and stretcher. Recessed operational wall to aid with ergonomics and patient and paramedic safety. Enhanced safety in specific occupant survival zones in saloon and cab area. Electrical and data installs on various specialised systems. We continually develop advanced electrical systems in conjunction with our partners which include Intelletic, Carnation, ATSR and RSG. We continue to look at renewable energy as we see this as the way forward to reduce the carbon footprint of the vehicles. 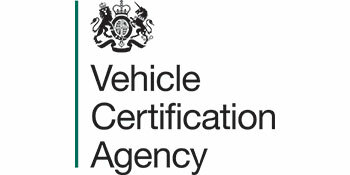 In addition to the benefits outlined above our current studies have indicated that the VCS design on all ranges of vehicles have significant savings in relation to fuel. This is undoubtly due to our construction methods and lightweight designs. We can design on any base chassis and our construction methods can be transferred and are interchangeable between different base chassis.